Do compost bins attract vermin? Sustainability and waste reduction are more important than ever and having a compost bin is an ideal way to cut the waste you send to landfill – but what should you do if you are worried about vermin? Rotting food attracts pests – that point is undeniable – and many homeowners worry that adding a compost bin to their garden will open them up to the risk of rats. With layers of decaying food compost that are usually kept covered, compost bins can be attractive to mice and rats looking for a warm home in the winter. But that should not put you off composting, after all this is a fantastic, cost-free way to create excellent nutrition for your garden and an earth-friendly way of cutting waste. A few careful steps will help you to compost food waste with a minimal risk of attracting pests into your garden. The most important rule is not to put cooked food into the compost, save it for raw fruit and veg. Cooked food will be particularly attractive to rats, which will be able to smell out cooked meat and grains – a more attractive meal than rotting veg. However, rodents are not particularly picky so even in the absence of cooked foods it is important to make the compost area unattractive to vermin. While a wet compost heap is supposedly less attractive to rats, leaving a bin open will allow for access so the best solution is to prevent vermin getting access in the first place. The position: Try to find a flat surface to put your compost bin on to avoid accidentally creating little access pockets at the bottom where the ground is uneven. It might even be worth putting a couple of concrete slabs down. Try not to put the compost bin too close to a fence or next to a large garden object that will leave rats unseen but also provide an unfortunate trap for food to fall into and possibly attract pest vermin. Check seals: A good fitting lid is essential for a compost bin – this will stop any rats and mice from climbing in and making their home. Make sure the lids fits closely and that it is always in place. Turn regularly: Good compost requires regularly turning with a fork. The more often you do this the less likely pest rodents are to make your compost bin their home as the movement will hopefully scare them off. Composting food is important to reducing waste and living responsibly, so don’t let worries about attracting pest vermin put you off. By following a few simple steps you should be able to enjoy excellent garden compost without any unwanted visitors. 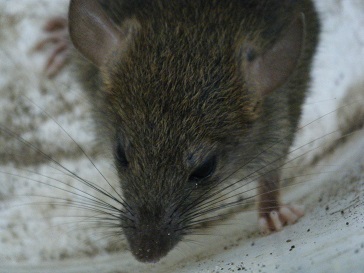 Should you experience a problem with pest vermin get in touch with Pest Busters.